Operating Geography :Saudi Arabia, Middle East. Saudi Telecom Company is a telecommunication company headquartered in Riyadh, Saudi Arabia founded on April 21, 1998. The company provides telecommunication services in the Middle East and North Africa. As per Forbes report, the company has employee strength of 21,316 as of May 2016. Its services include card telephone, video streaming on demand, 3G and 4G services, pre-paid and post-paid mobile services, leased transmission circuits, etc. It had the monopoly in mobile phone services until Etihad Etisalat received its second license. 1. Established market position across Middle East: According to financial reports of Saudi Telecom Company, the company’s revenue was $13.82 billion for the year ended December 31, 2016, which was more than 50% of the total revenue of the Telecom sectorof Saudi Arabia for the duration.The company’s high-speed 4G network has covered more than 75% of Saudi Arabia and has become the largest network provider in Saudi Arabia.The company has established a strong presence in Saudi Arabia and North Africa and has expanded in Malaysia through a 25% stake inBinariang GSMSdn Bhd. STC also hasa stake in Oger Telecom UAE which fully controls Turk Telecom, Avea in Turkey. STC has a 100% ownership in Viva, Bahrain and 26% stake in Viva, Kuwait. STC has also established its position in services such as IT, media content, distribution and real estate which support its telecom investments throughout the Middle East. 2. Wide portfolio of services: STC offers a wide variety of services including mobile phone, landline, data services, etc. The company’s GSM network services offer prepaid cards, 3G and 4G, international calling. 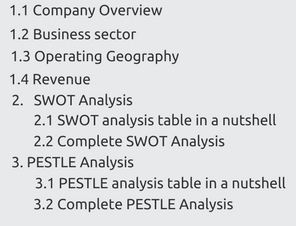 Its data services include DSL and leased data transmission. In December 2017, STC and Thales Critical Information Systems and Cybersecurity announced their cloud encryption service. The cloud services area new addition to the existing portfolio of services. The wide service portfolio reduces the risk of being dependant on a particular type of offering.The company has also entered into aSAR7.3bn ($1.95bn)agreement with the government of Saudi Arabia for providing high-speed fibre optic broadband services to more than 1.3 million households by 2020. 3. Strong brand value in the Arab markets: Saudi Telecom Company (STC) enjoys a strong brand value in the Arab world. In the 2016 Brand Finance Global 500 rankings, STC stood at 252nd place in the global rankings which made it the most valuable brand in the Middle East. STC’s brand valuation increased by 11% during 2016 to $6.2 billion and it was ahead of Emirates, the UAE based, world’s largest airline. The strong brand value has helped STC in its expansion in the Middle East markets and demonstrates the goodwill it has accumulated with its stakeholders. 1. Young population: Unlike most of the countries, Saudi Arabia does not face challenges due to an ageing population. As per statistics of 2016, about 4.2% of the population is above the age of 65 years while about 27.6% of the population is below the age of 14 years. These numbers indicate that a majority of the population is young and dynamic. This young population will set up massive demand for latest technological products related 4G and faster internet speeds. 1. Environmental standards: Saudi Arabia has signed many regional and international pacts towards environment conservation like the United Nations framework convention on climate change, the Basel Convention on transboundary movement of hazardous waste, etc.All telecommunication corporations need to abide by the rules and maintain their business processes aligned towards a common goal of environmental conservation. As per latest Environmental Performance Index (EPI), Saudi Arabia stands at rank 35 out of 178 countries with a score of 66.66 out of 100.The government has taken measures to reduce pollution due to production processes. To ensure that the company’s goals are inclined with those of the government, STC has established a supplier code of conduct. As per the code of conduct, the supplier needs to ensure that they adopt environmental management system that ISO 14001or similar standards. This will ensure that the suppliers use low energy consumption processes during their entire production lifecycle. 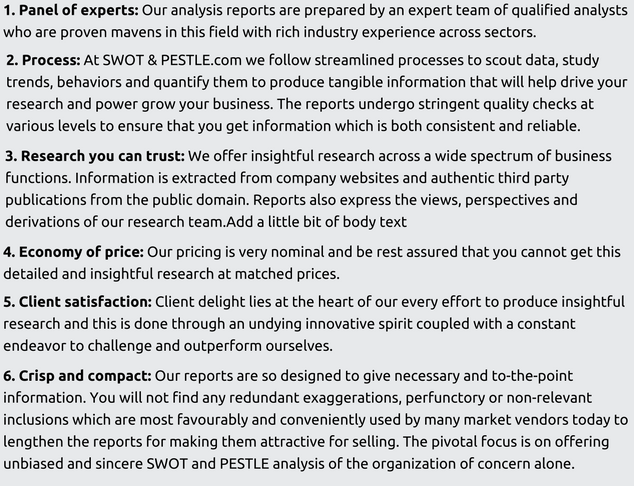 Saudi Telecom Company SWOT and PESTLE analysis has been conducted by Siddhesh Suhas Salkar and reviewed by senior analysts from Barakaat Consulting. 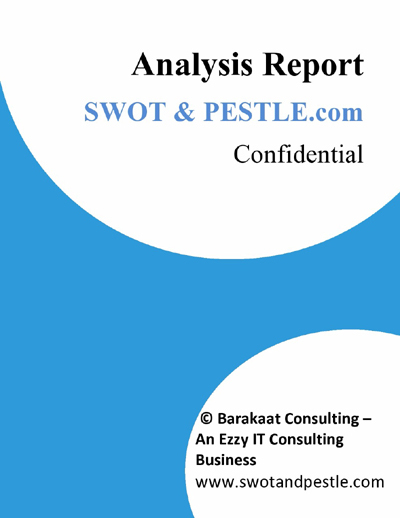 Copyright of Saudi Telecom Company SWOT and PESTLE Analysis is the property of Barakaat Consulting. Please refer to the Terms and Conditions and Disclaimer for usage guidelines.